Snorkeling accidents happen every day. This isn't meant to scare you, only to make you aware. You are diving into the deep, unfathomable ocean when you put on a mask and go looking for coral, so if you want to make sure that's just a thrill and not a serious danger, keep these snorkeling safety tips in mind. Would you climb a mountain alone? Go skydiving alone? The ocean is the same as the earth and air. 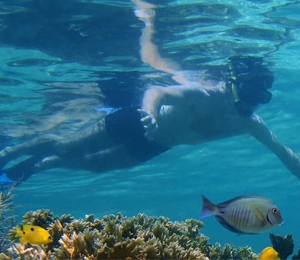 You should always have a partner for safety reasons when you go snorkeling, preferably one kept within 5-10 meters of your line of sight at all times. Not only will they help you keep your bearings in the water, but they're another set of hands in case something goes wrong, another person to call for help if you're unable. 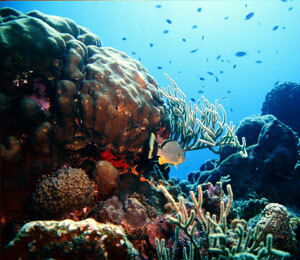 Besides, don't you want to share the fun and adventure of snorkeling with a friend? This sounds like a no-brainer, but you'd be surprised at the number of tourists who are keen to jump right in the water with no idea how to get themselves out. Snorkeling involves swimming! You don't need to be an Olympic diver, but you should be comfortable in the water, know how to paddle, know how to hold your breath without holding your nose, et cetera. Look at it this way: If you couldn't keep yourself alive in a community pool, you aren't ready for the ocean. The great thing about the internet is that many snorkeling spots all over the world have already been documented and assessed for dangers. 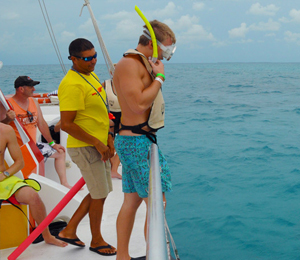 You can run a search for something like "Key West Snorkeling" and get instant and up-to-date information about everything from weather patterns to water conditions. So make sure you familiarize yourself with your intended location before you get there! Make note of where the cliffs will be, or if there are any rocky shores or particularly dangerous currents nearby. Heed the warnings of any snorkelers past. Even if you do all your research, there will still be plenty of surprises when you get in the water. Snorkeling wouldn't be any fun otherwise, right? Just make sure you don't get lost in the moment, because that's how snorkelers start misjudging distances and losing track of time. You should break away and come up for air at least a couple of times an hour, making sure you haven't drifted from the shore and that the wind is still fair and that your partner hasn't gotten too tired to continue. In fact, don't even touch them! Many sea creatures will deliver painful bites and strings when they feel threatened, and even harmless-looking fish can be the harbingers of something worse. 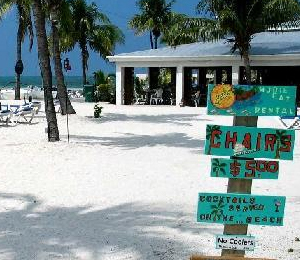 Jellyfish, for example, have been spotted in certain Key West snorkel locations. Coral can also cause some pretty deep cuts, so resist the temptation to stroke it. The thing thing you want is a painful injury to take all the joy out of your snorkeling trip. Going just 10 meters below the surface will double the amount of pressure on your body. Snorkelers who aren't aware of this, who dive too quickly and without taking proper precautions, often suffer what's called barotrauma, which can include everything from ear aches to lung damage. Make sure that you descend slowly, breathing through your nose and into your mask to equalize the pressure, and take as many stops as needed if you feel light-headed or your vision gets blurry. Those are symptoms of barotrauma, and they don't have to be permanent as long as you're careful. What should you do if you get caught in a current? Don't swim against it; swim diagonally. What if you pop your head out of the water and a gigantic wave is headed your way? Don't try to ride it, and don't turn your back on it; duck back underwater before it reaches you. These are just two examples of basic ocean safety that are worth knowing before you go snorkeling. With any luck you won't need any of these tips, but it's better to be safe than sorry. This is perhaps one of the most important safety tips for snorkelers anywhere. Once you've had your fun, you'll still need to make it back to the boat or the shore. You might also encounter tides or currents that are suddenly much more difficult to navigate when you're worn out. Don't push yourself past the limits of your endurance! Pack up and call it a day before, or at least right when, you start to feel weary. Don't test your luck in the middle of the ocean!